Accommodation Brno - Pension Jaroš *** - Popůvky near Brno. Are you looking for an accommodation in Brno at a peaceful place? You need to find a well priced accommodation during Fairgrounds (BVV) or Grand Prix MotoGP (Masaryk Circuit)? Thanks to the perfect place of our pension you have everything at your hand. Pension Jaroš is located near Masaryk Circuit on the western side of Brno. Pension is just 4km (10 minutes of driving) from D1 highway at the exit 190.km in direction of Fairgrounds (BVV), and around 2km (5 minutes of driving) from the exit 182.km of D1 highway in direction of Grand Prix. To the center of the city it is about 15 minutes to easily reach it. 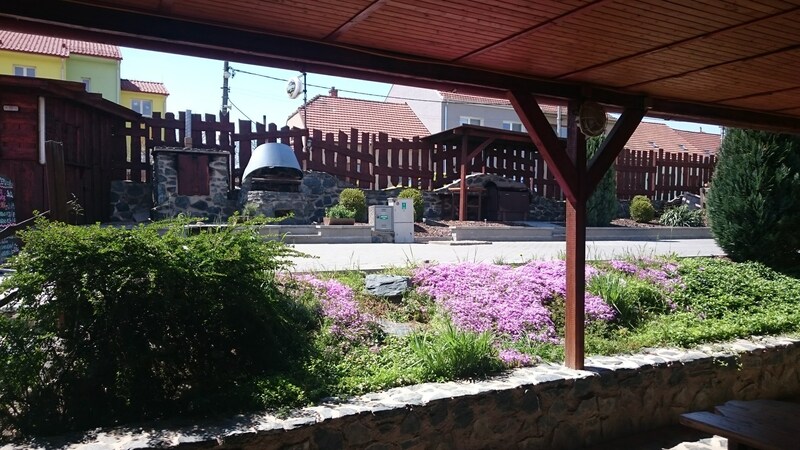 Pension Jaroš Popůvky at Brno offers an accommodation for groups or just for individuals, bussiness trip, or you can stay with family and enjoy holiday. We also offer a long term accomodation for company employees. Pension Jaros provides comfortable accommodation in modern rooms with nice prices. There are five four-bed rooms with balcony and minibar fridge. Each room has its private bathroom with shower. Domestic atmosphere and friendly professional staff ensures quality services. Pension Jaroš Popůvky near Brno is the perfect place for you parties, family reunions, weddings or company events. (Can be ordered live music). Free parking on our parking lot at pension area. Free WiFi access is available in all rooms and in the restaurant. Pleasant moments full of unusual dining experiences that you spend in a cozy restaurant with a fireplace. We will prepare meals and specialities of Czech and international cuisine. Every day you can choose from our selection of meals in lunch menu with nice prices. Come to us and you will be satisfied!